After Victoria was born, we continued on with our little tradition. Of course, it wasn't easy at first (OK, more like impossible!). She was too small, too fragile and too.. well, uninterested, at the beginning. We would still try to read to her, but not as much as before. It wasn't until she was about 3 months old when we picked it up again, and she seems to love it now. It was truly amazing to sit there and watch my husband read to Victoria. 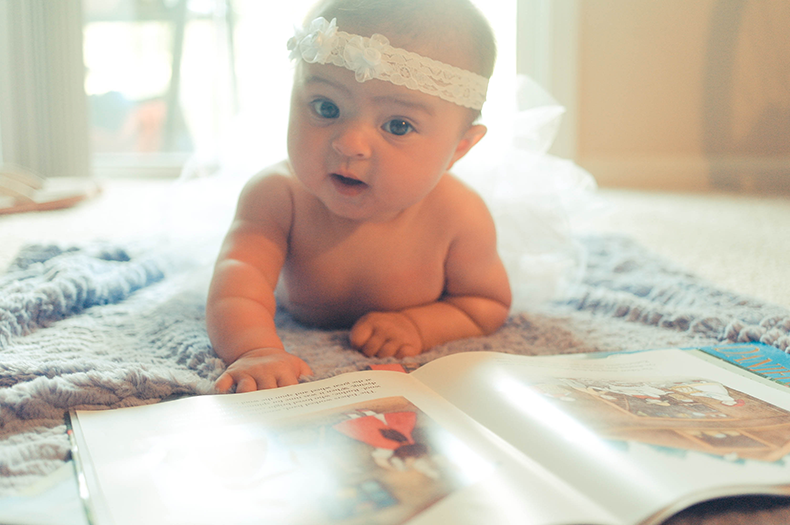 This tiny little creature sitting in her dad's lap, staring at the colorful pictures with interest and amazement. I loved those little moments! I loved reading to her myself, observing her reactions as I point to different pictures, seeing her turn her head occasionally towards the sound of my voice and then turning her attention back to the book. It was such an amazing experience. 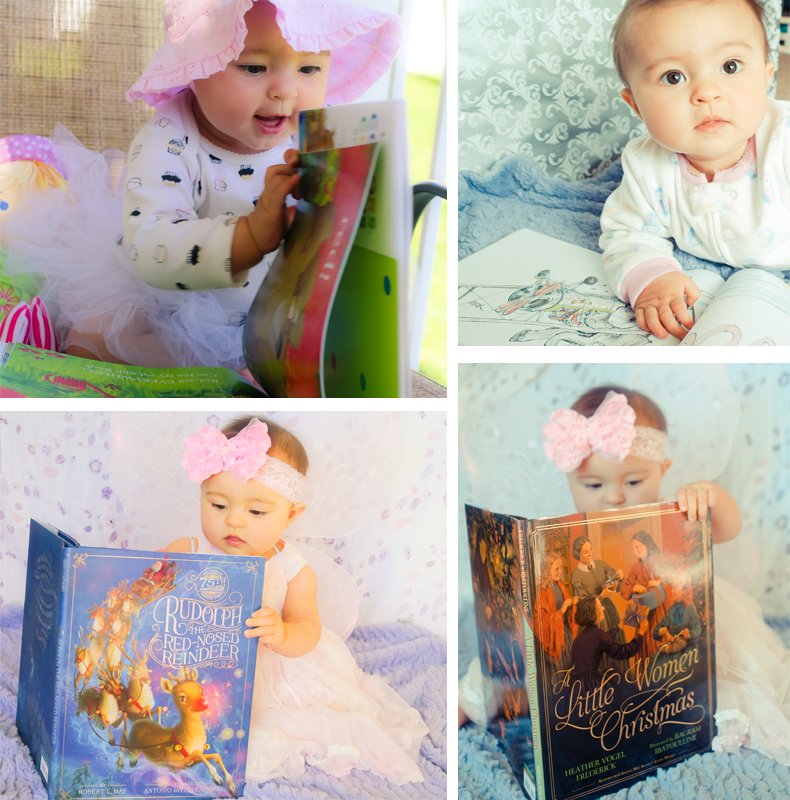 Being a book blogger of 5 years and an avid reader, it is very important to me that my daughter grows up to be a reader herself. Lucky for me, I have plenty of books I can read to her (books aren't cheap, I think we all know that). Being able to receive free children's books is a huge privilege and I'm grateful for each and every single one of them. Now, that Victoria is 16 months old, we have a daily ritual of about 20-30 minute story time. We do this before her bed time when she's tired enough to sit still but not just yet too sleepy to focus. 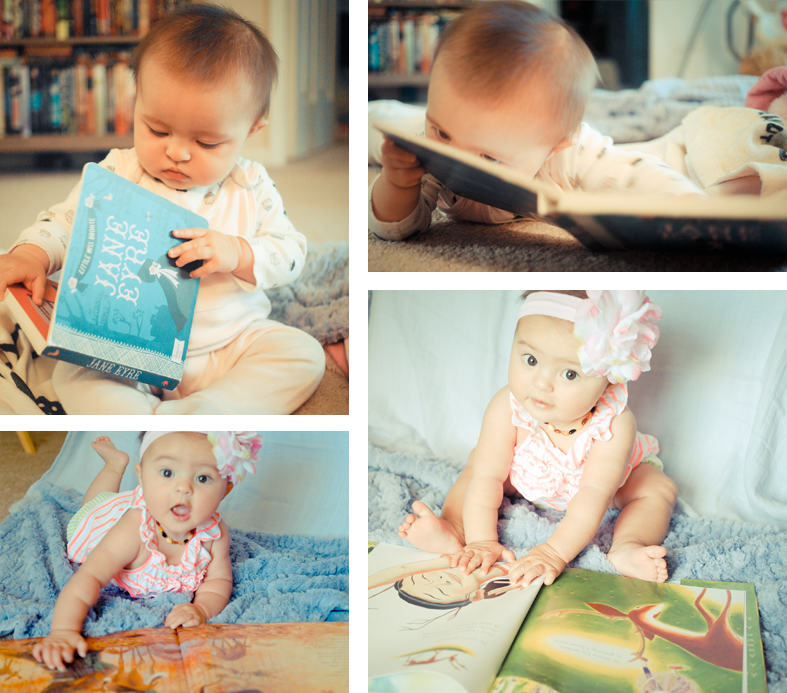 She seems to be going through a faze when she's trying to rip all the books apart and eat the pages, but we are working on that :) I can't wait for her to be old enough to actively participate in story time, it will be so much fun! 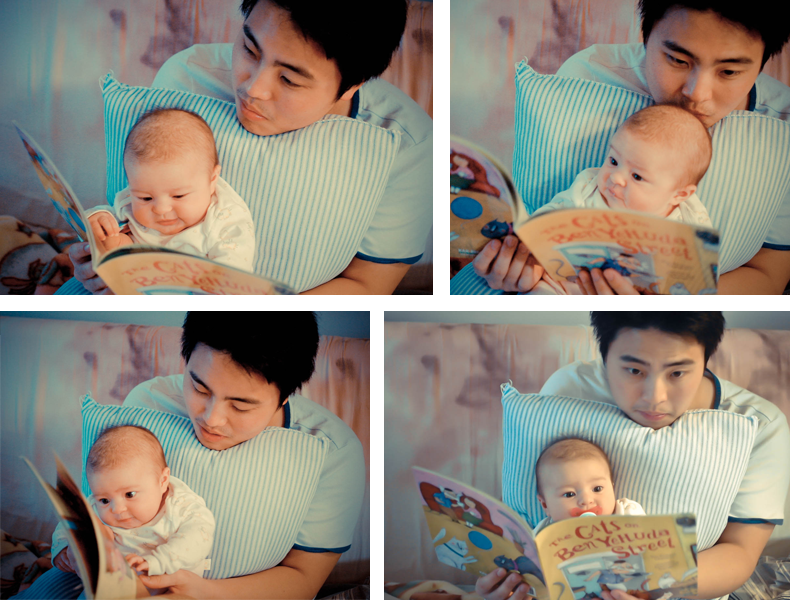 Reading to your baby is an important form of stimulation and it's never too early to start. Fetuses recognize their mother's voice from the womb. Newborn babies love hearing your voice. 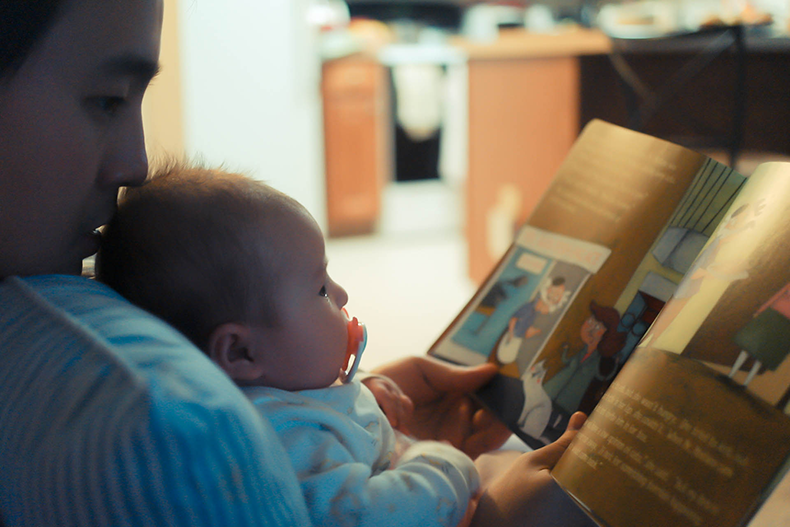 Reading to your toddler will help develop listening skills, stimulate interest in sounds, build memory, vocabulary, and give your child information about the surrounding world. It's also a phenomenal bonding time and a great opportunity to cuddle and enjoy something together. Turn it into a daily routine, and your child will eventually start demanding story time himself. Reading introduces your baby to new concepts and teaches them about colors, shapes, numbers and ideas in a fun way. 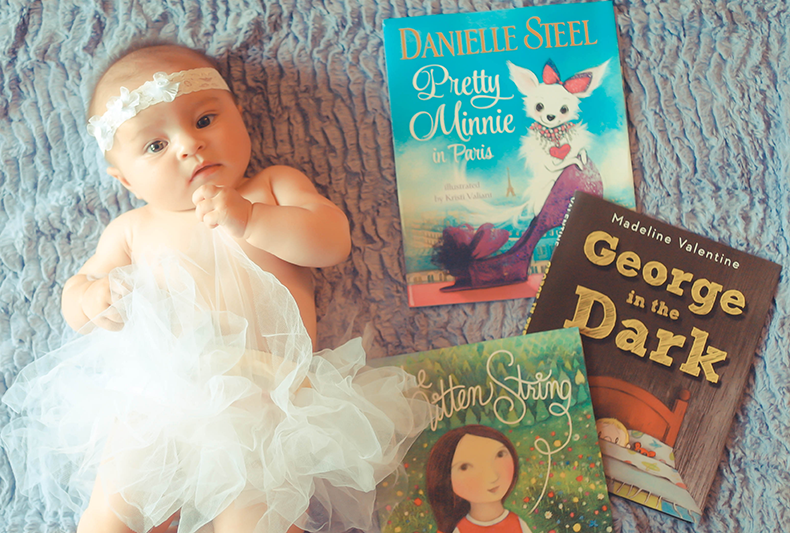 Board books and picture books with bold, colorful illustrations are sure to spark your baby's interest and help him focus on the book. He won't understand the story just yet, but he'll enjoy listening to your voice. Try reading to him using different, silly voices to make it more fun. Repetition is your friend - it will help familiarize your child with different words and, eventually, help improve his language skills. It's scientifically proven that children that are read to at an early age, are smarter. They learn to read earlier and more easily, and their communication and learning skills develop at a much younger age. Remember, your baby is like a sponge, the habits he'll learn at a very young age will likely stay with him forever. Cuddling with mommy + listening to mommy's voice + seeing colorful pictures = positive experience that will solidify your child's love for books.